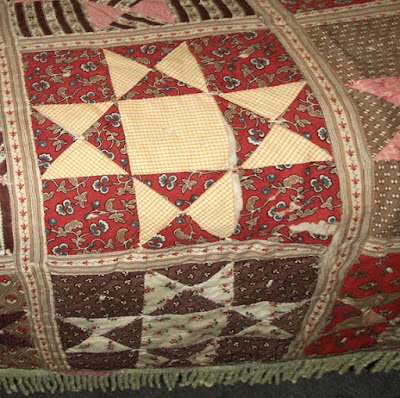 Recently posted in an online auction. 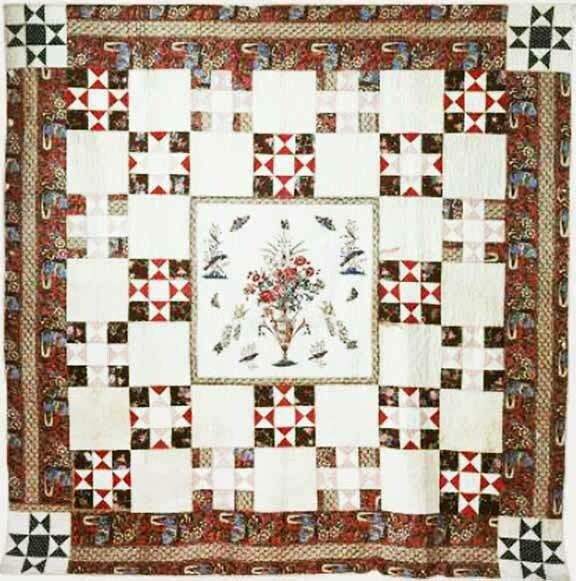 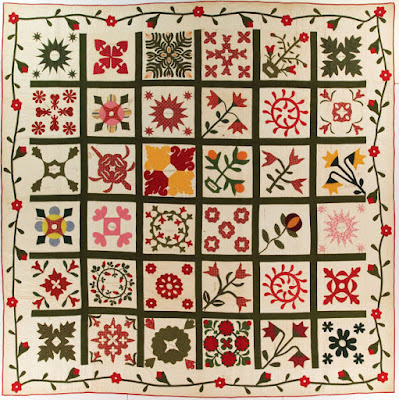 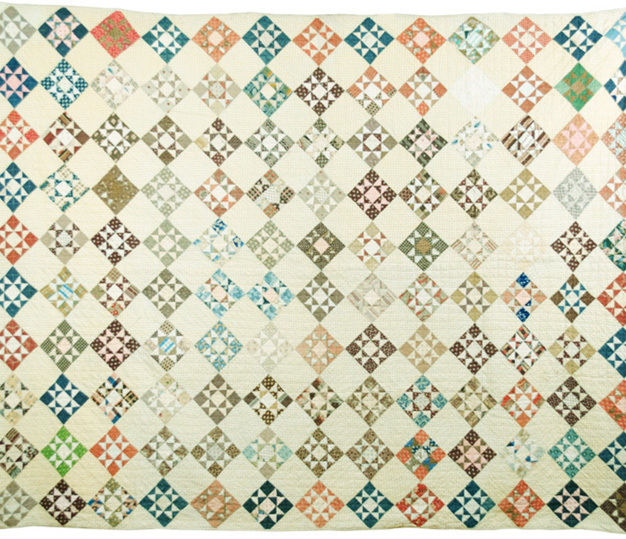 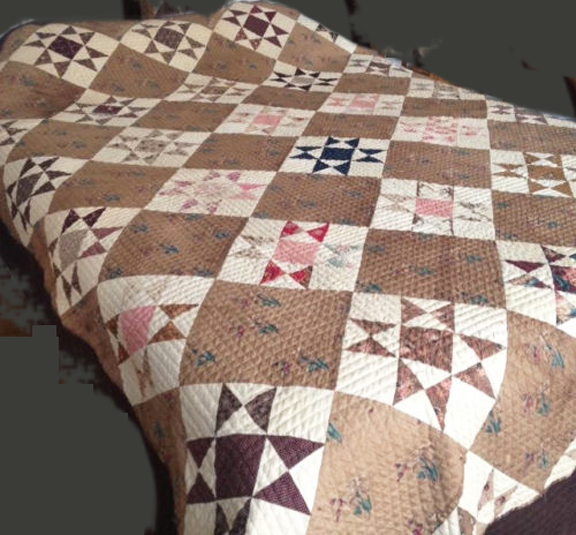 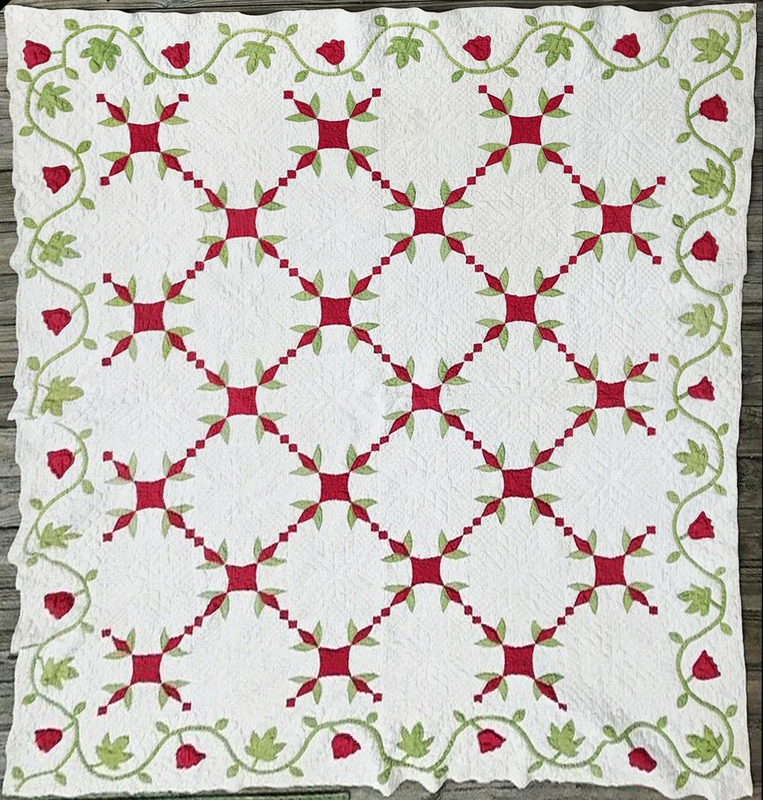 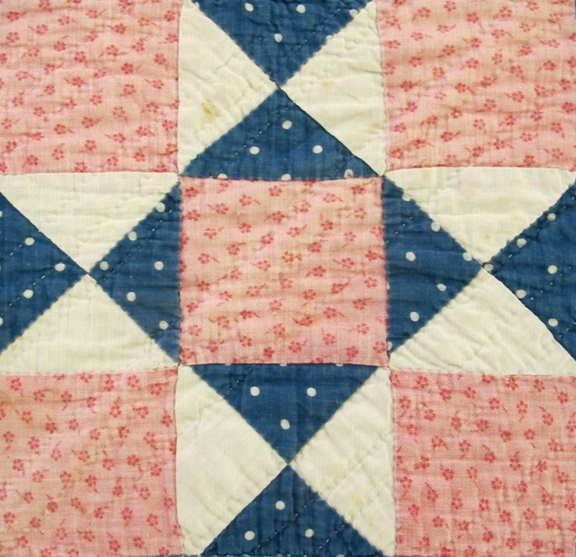 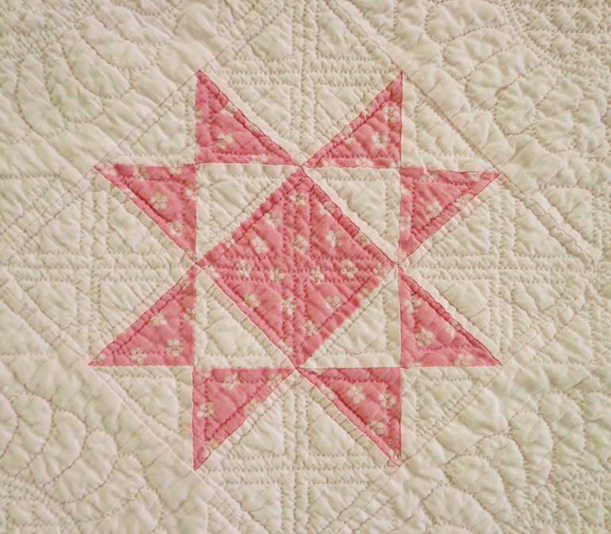 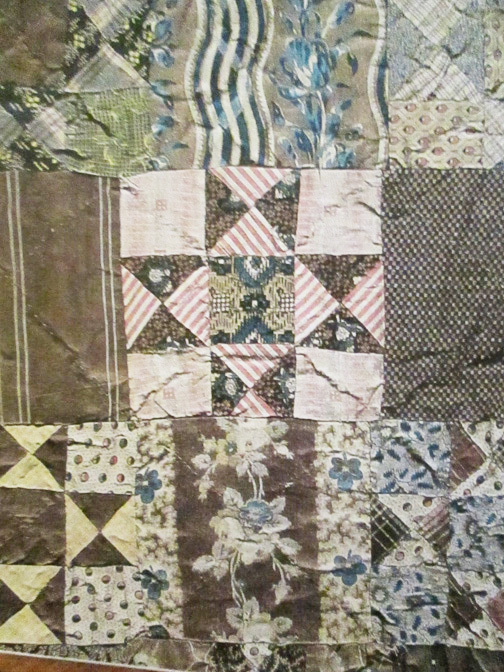 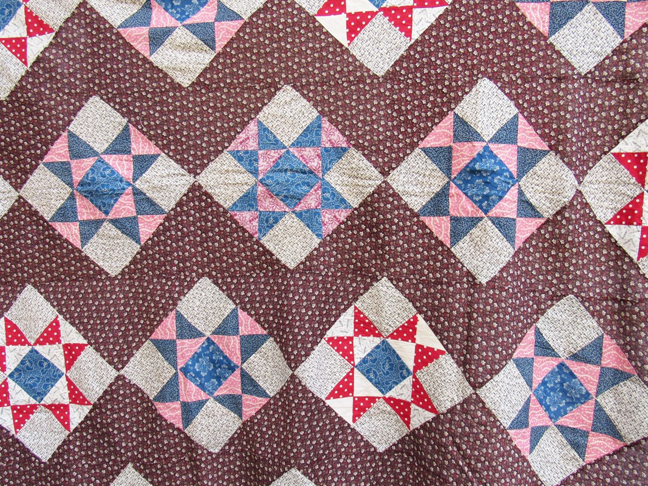 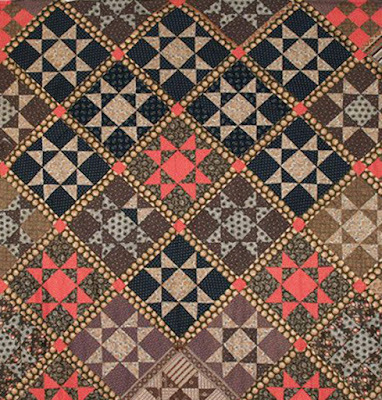 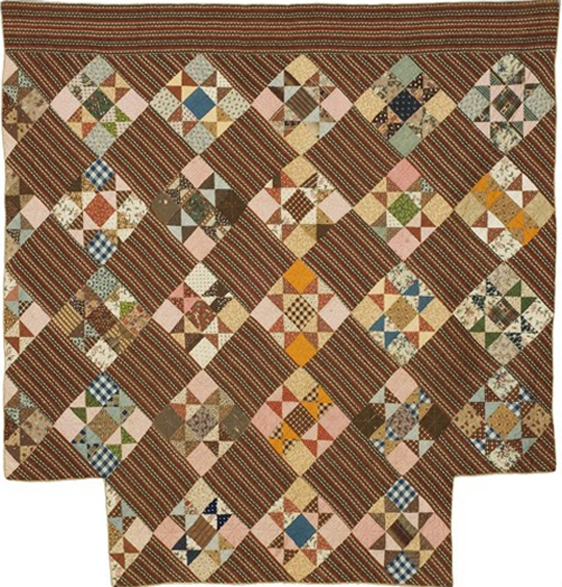 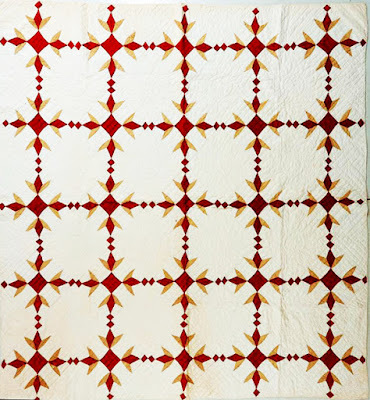 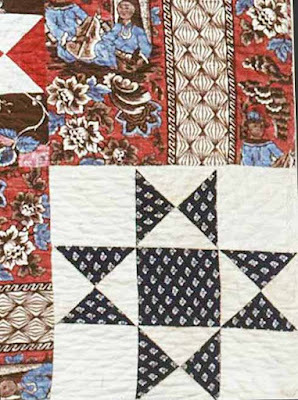 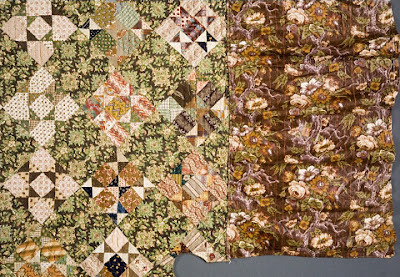 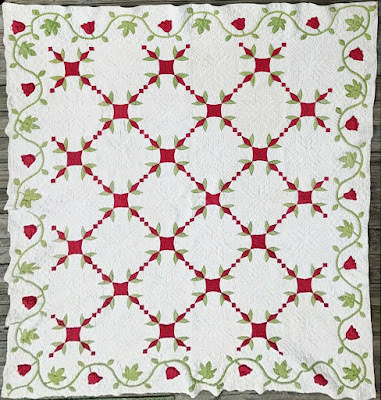 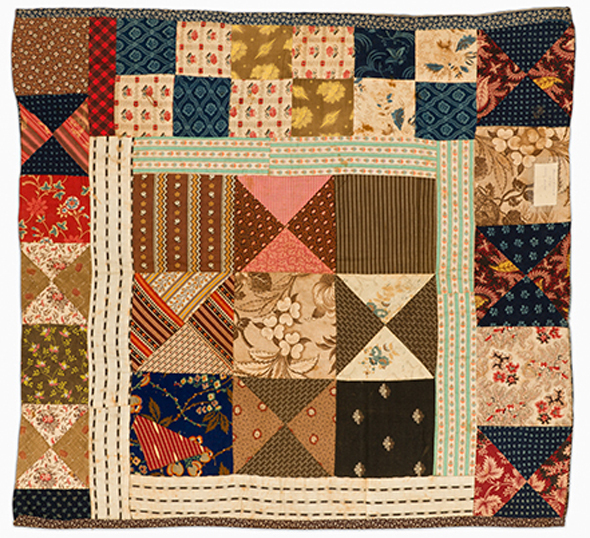 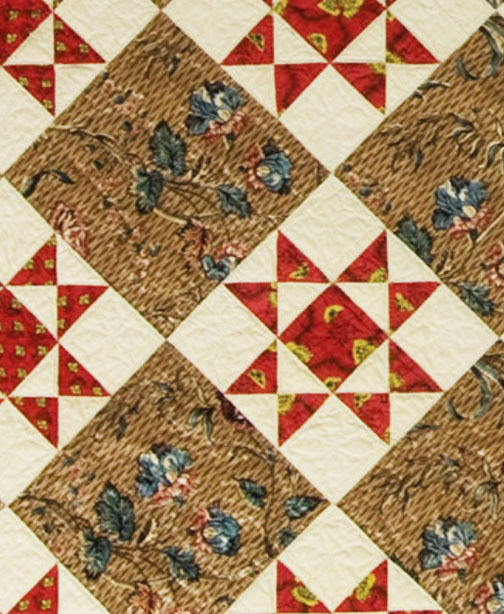 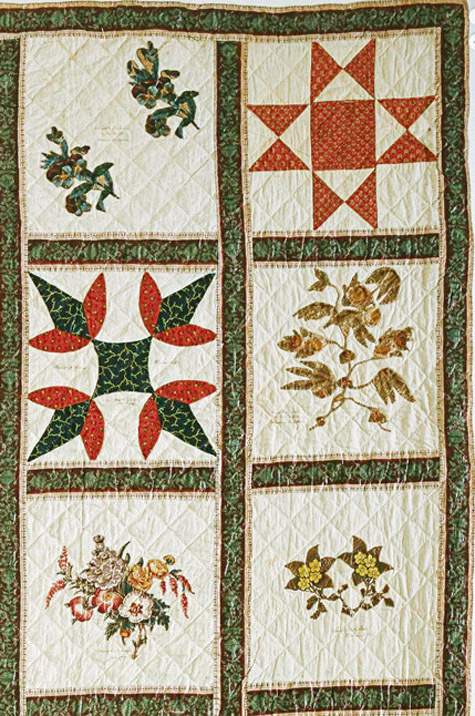 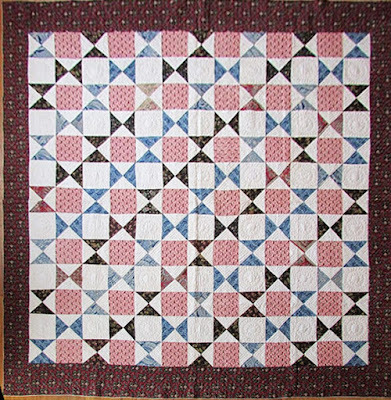 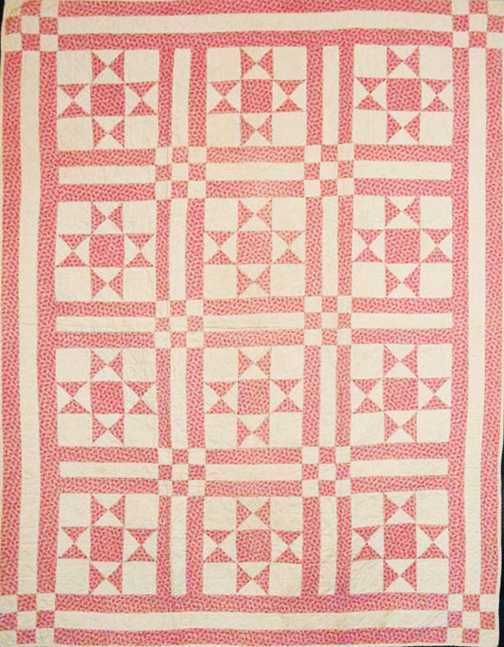 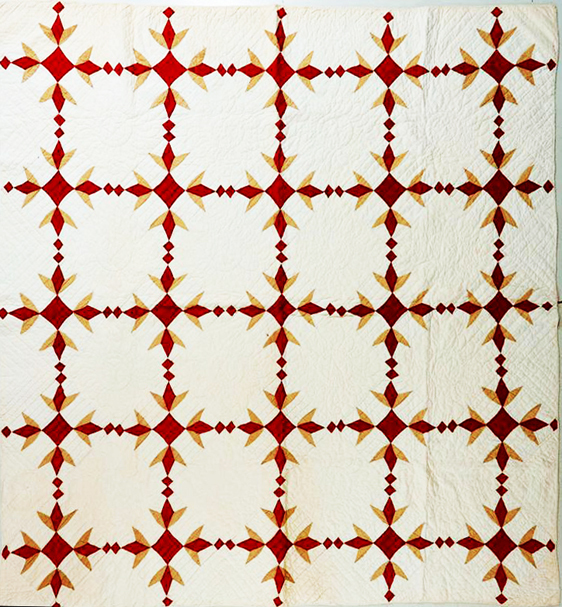 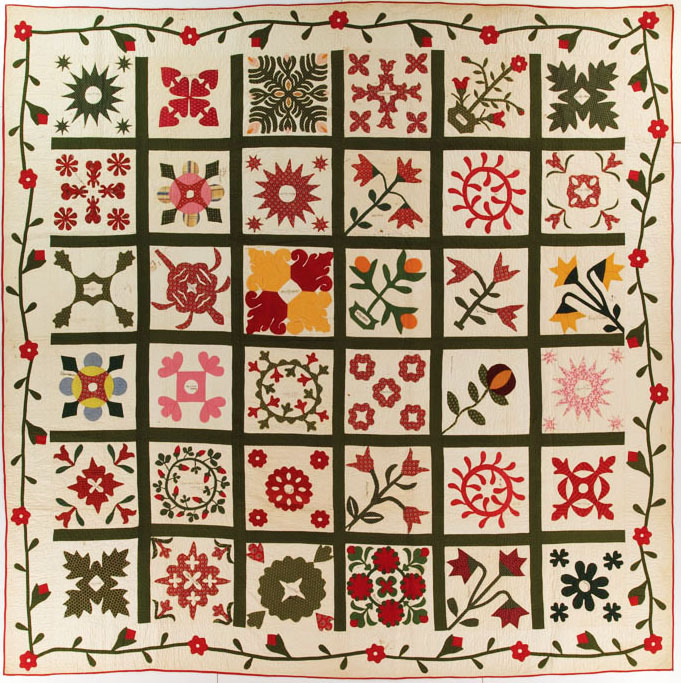 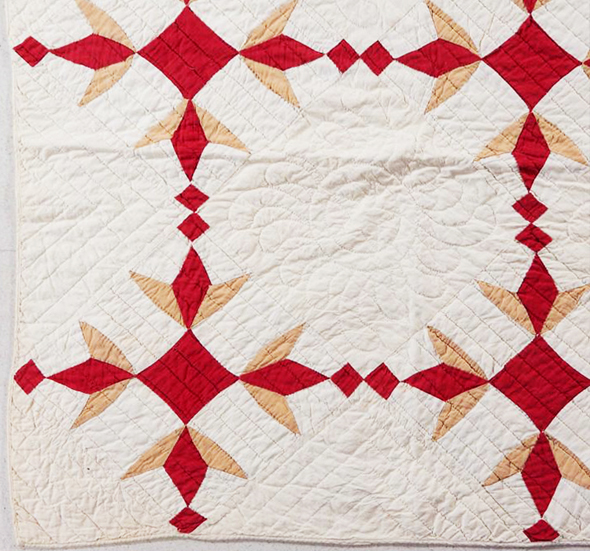 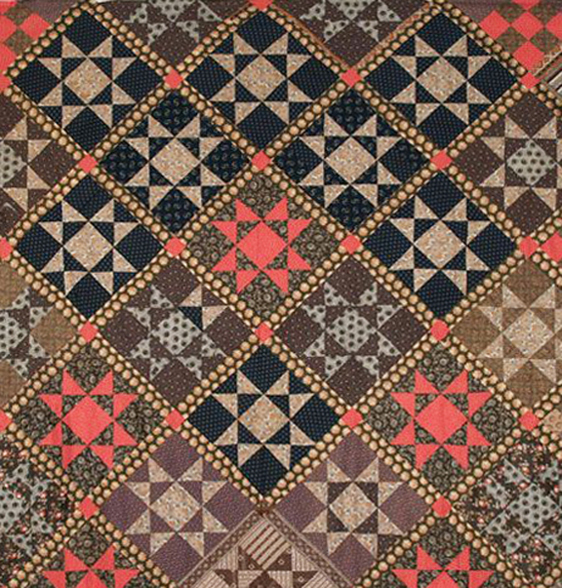 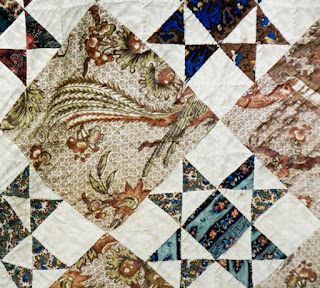 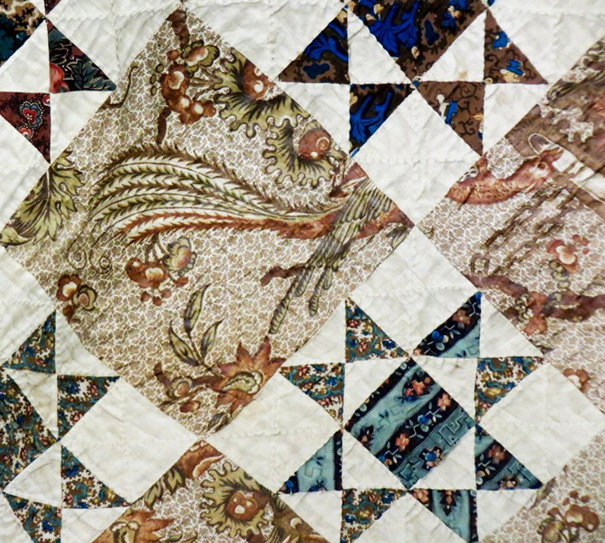 Fancy border; fancy quilting, probably 1850-1880.
and the fan quilting. 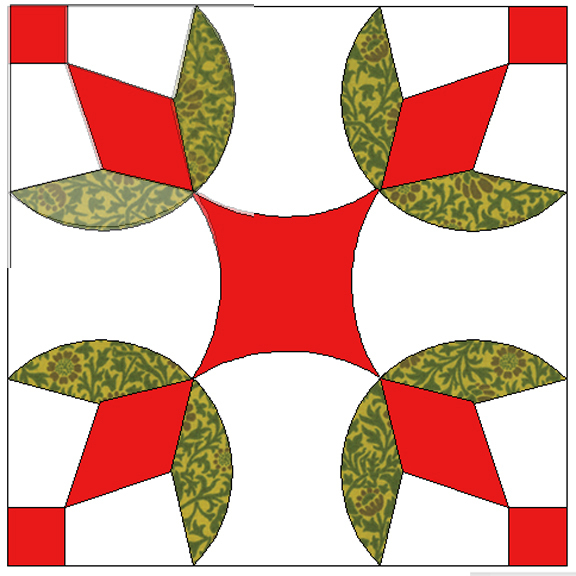 But no corner square. 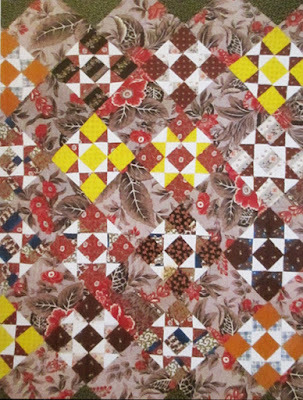 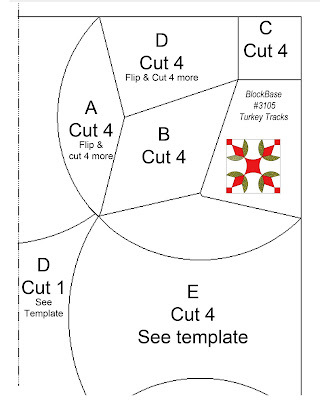 Turkey Tracks blocks are common but this one with a square pieced into the corner is rather unusual. 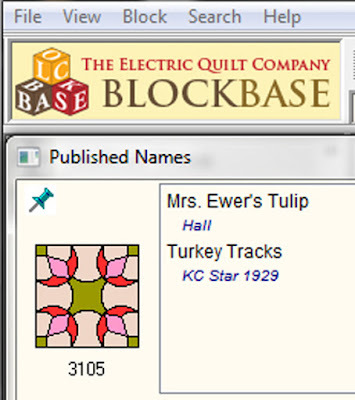 It's BlockBase #3105, published in the Kansas City Star in 1929 as Turkey Tracks and by Carrie Hall in 1935 as Mrs. Ewer's Tulip. 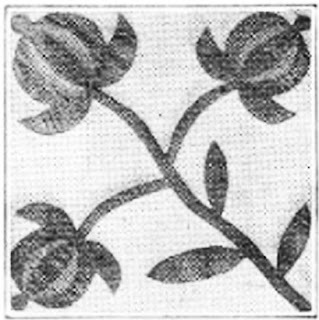 "Mrs. A.B. 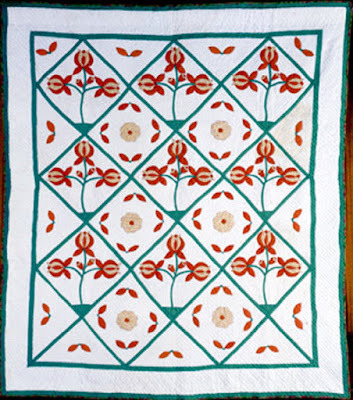 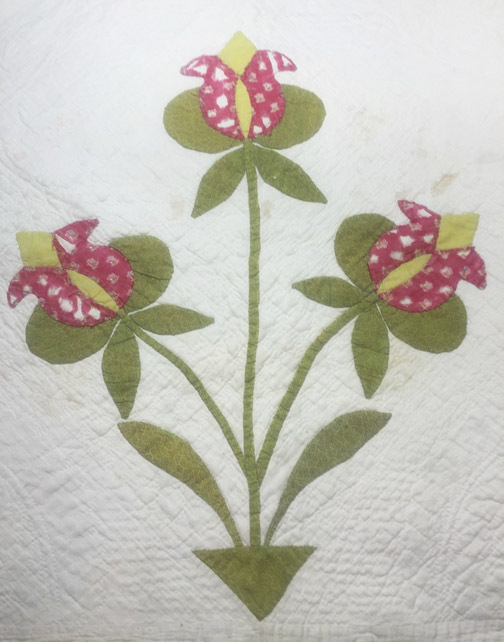 Ewer's Tulip quilt block 1900"
Carrie Hall stitched many of the 800+ blocks in her collection at the Spencer Museum of Art, but Mrs. A.B. 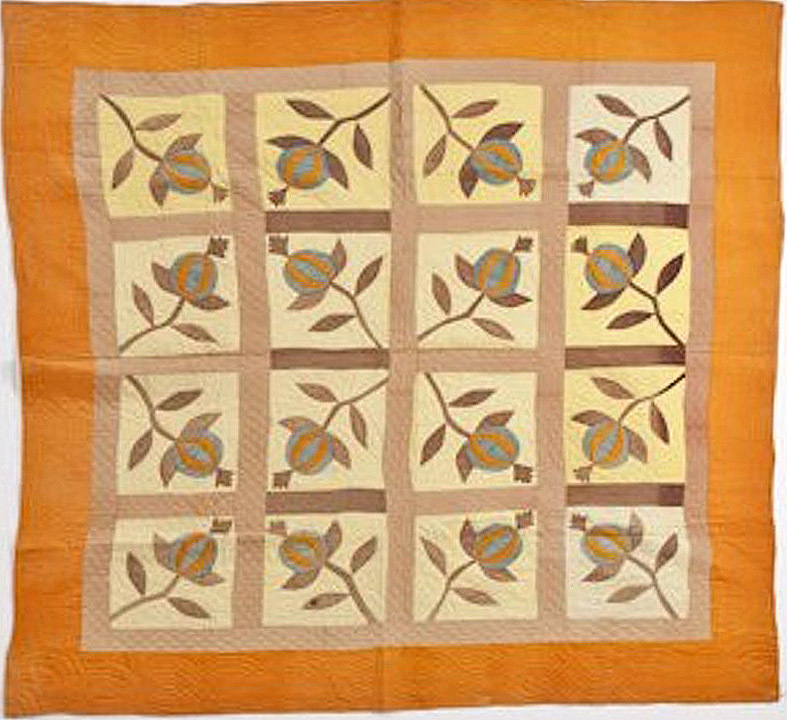 Ewer probably gave this vintage block to Carrie. I looked for Mrs. Ewer in Leavenworth, Kansas where Carrie lived but the only A.B. 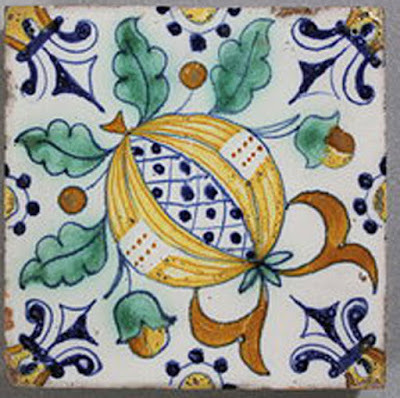 Ewer I found was in Sheboygan County, Wisconsin. 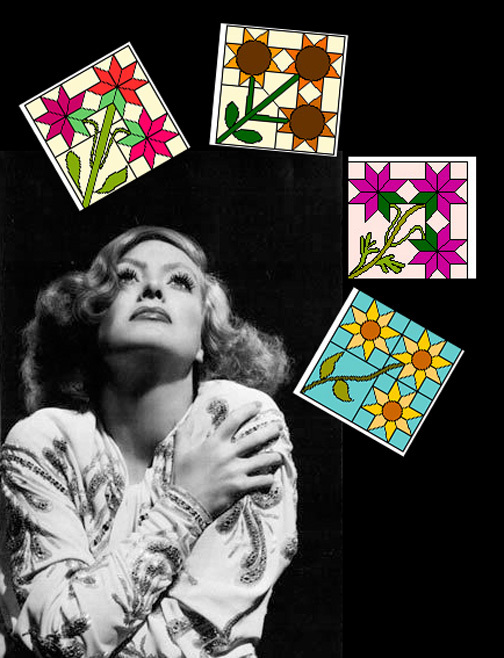 Carrie was born in Wisconsin, so Susan Girard Ewer may indeed be the woman who made the block. Top from 1960-1980 maybe from an online auction. 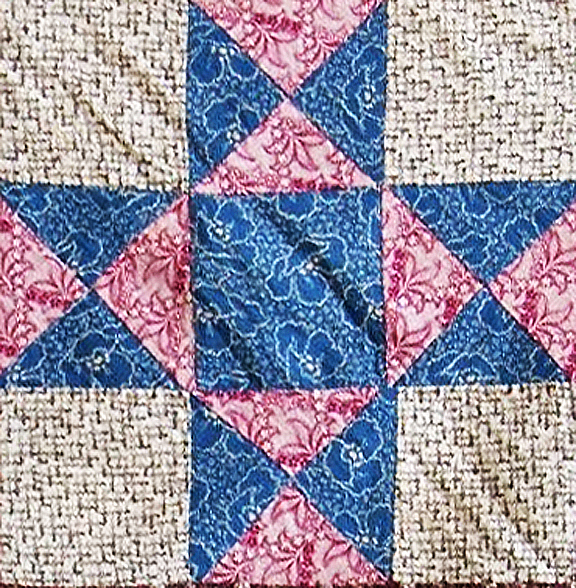 Sashed. 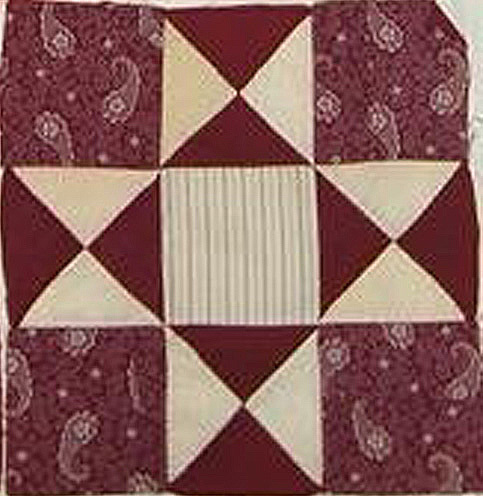 She may have been inspired by Carrie Hall's block. 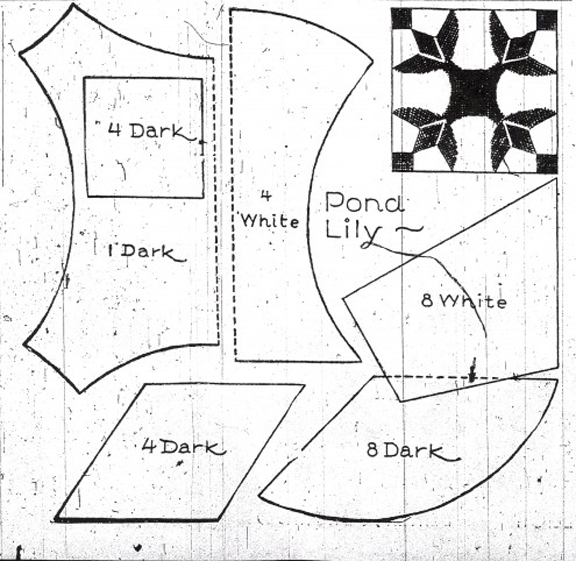 You can see the BlockBase drawing is not a great reproduction of the Ewer block. 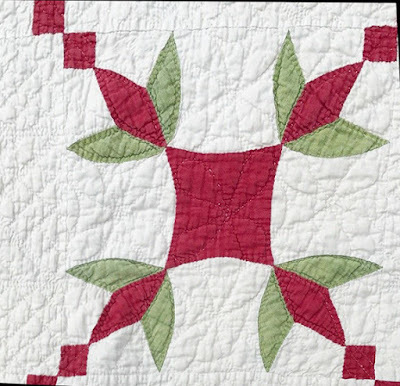 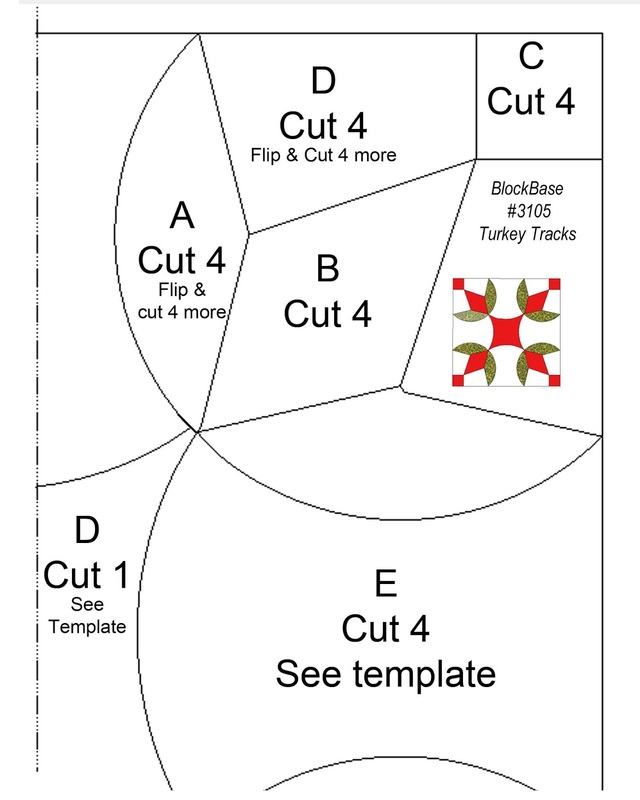 I modified it here by exporting the drawing to Electric Quilt and changing a few lines. 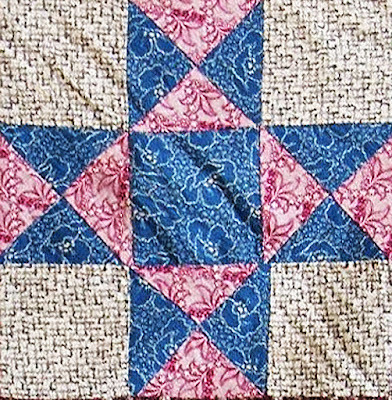 I wanted it to look like the 19th-century versions. 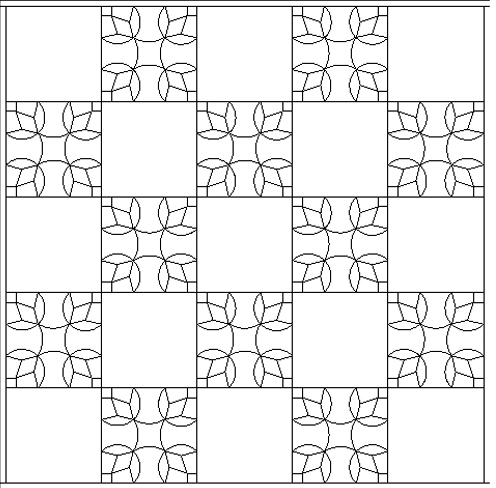 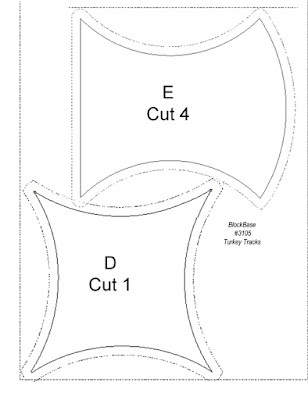 This pattern is for a 15" finished block. 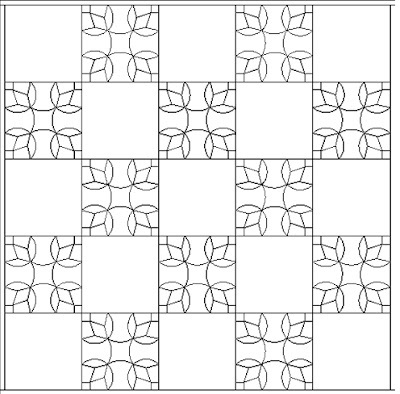 Print these out on 8-1/2" x 11" sheets of paper. That top line should measure 7-1/2"
Block on point, alternate plain blocks. 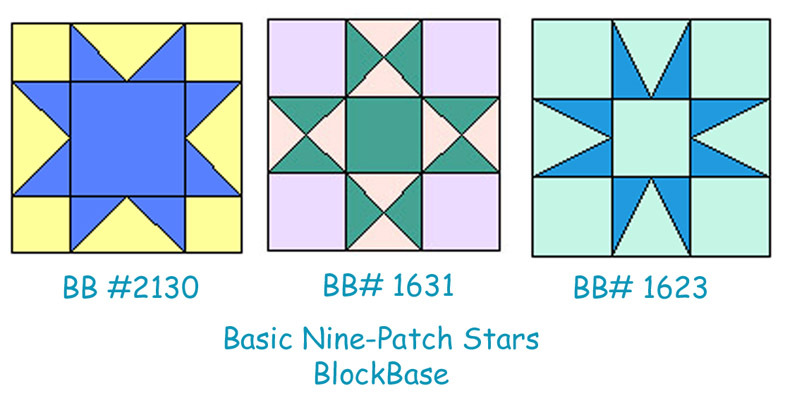 The three antique versions alternate the blocks. 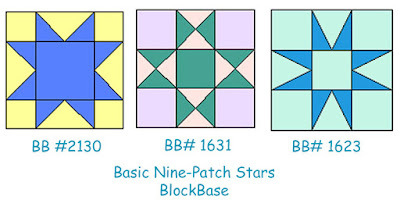 If you set them all over you get a whole different look. 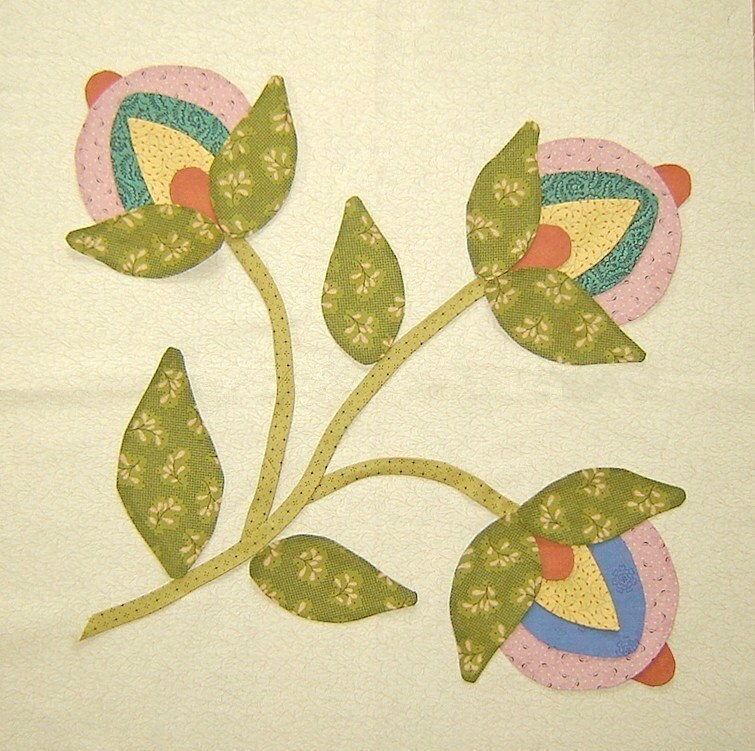 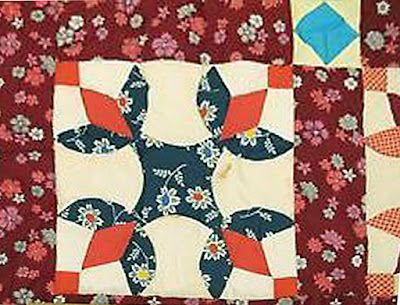 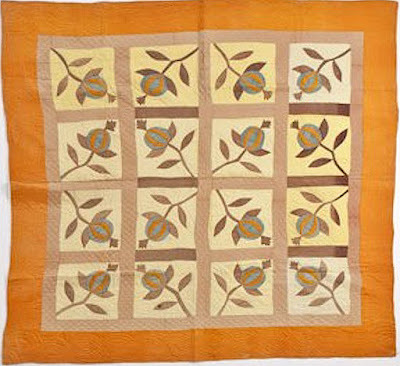 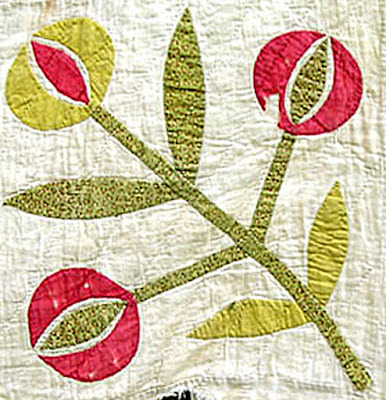 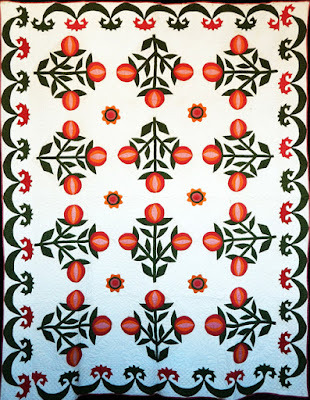 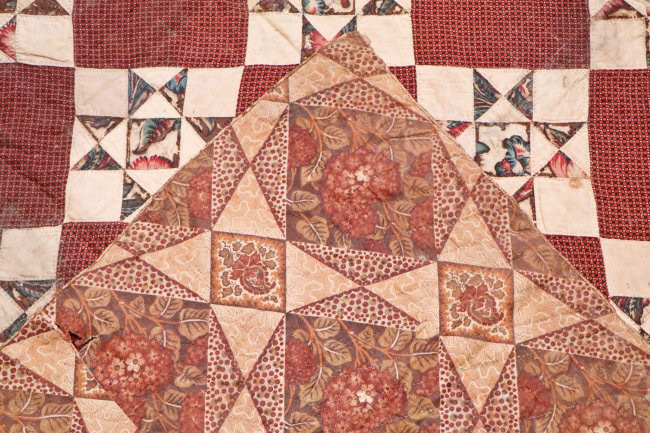 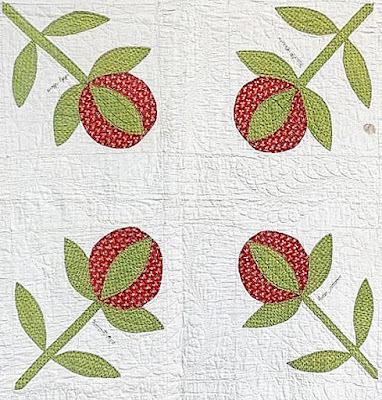 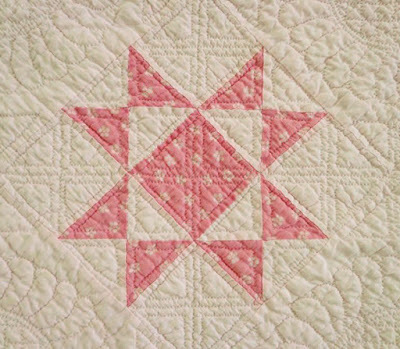 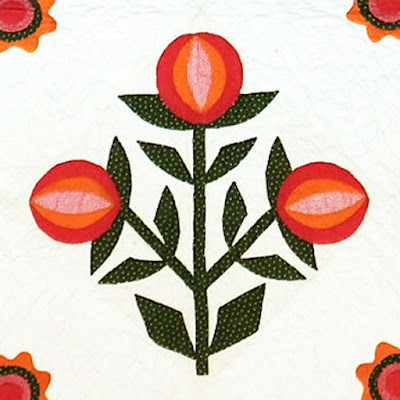 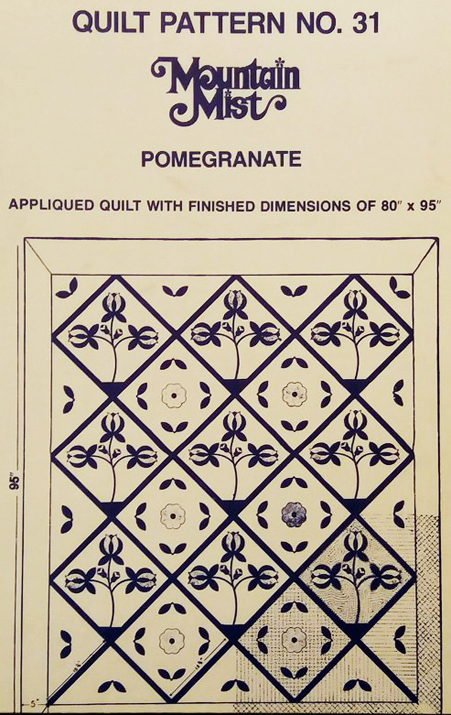 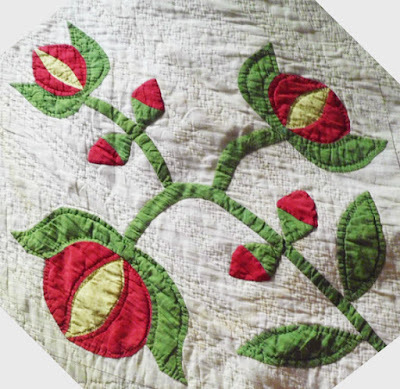 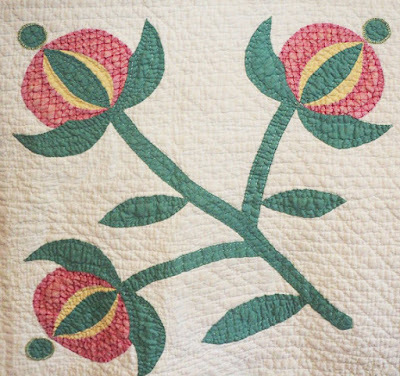 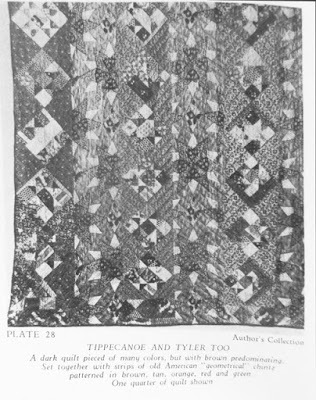 This side view of a fruit was one of the very popular album quilt designs, whether single or triple. 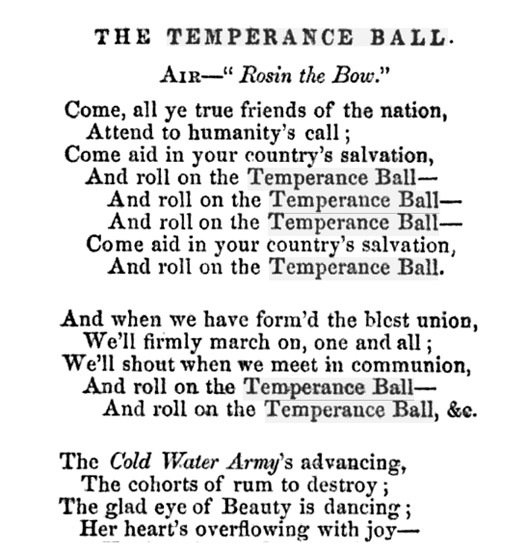 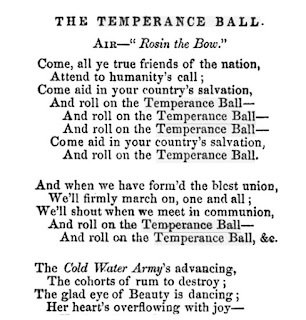 The design for the Hospital Sketches BOM is most like #46.72, which Carlie Sexton named Temperance Ball in the magazine Successful Farming in 1923.
streets as a political demonstration. 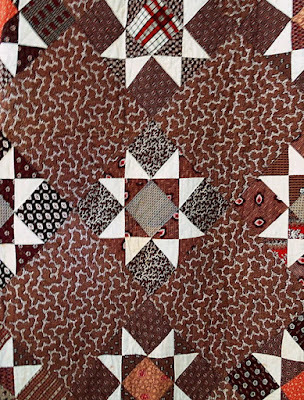 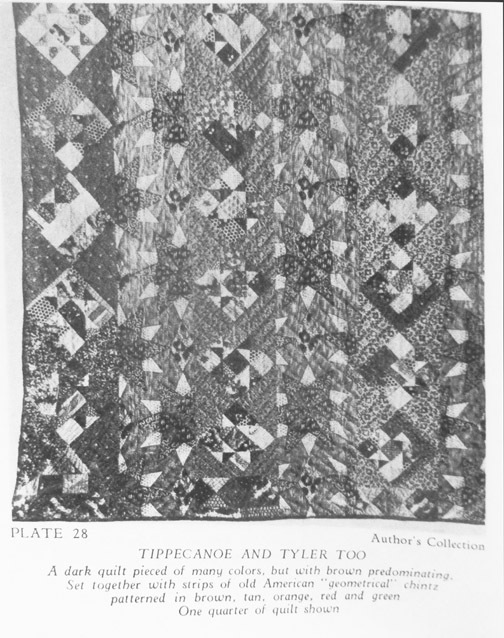 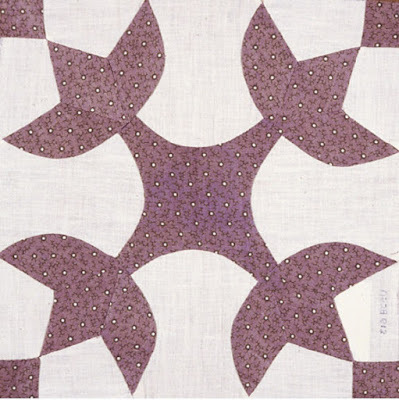 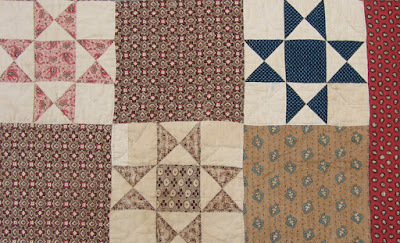 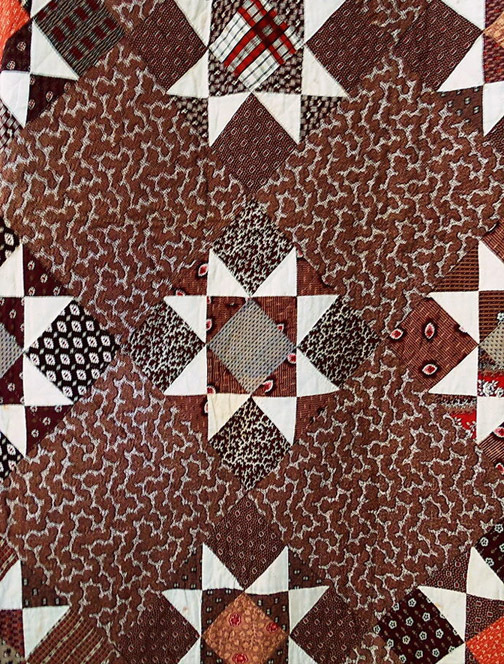 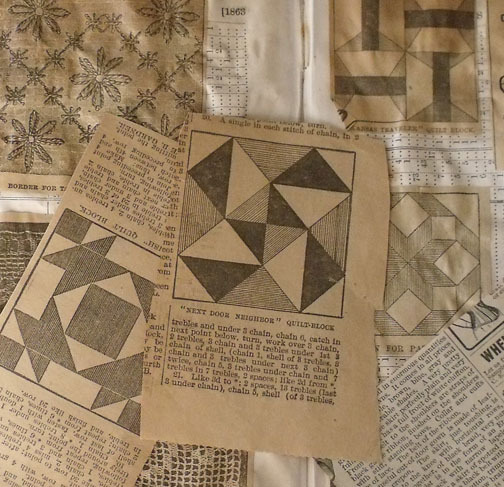 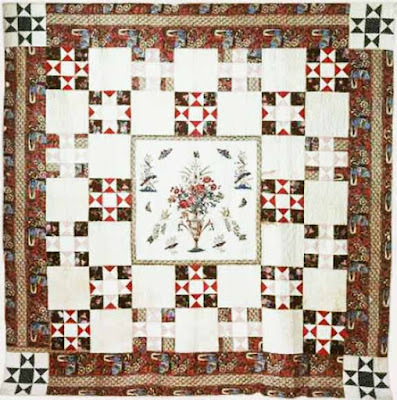 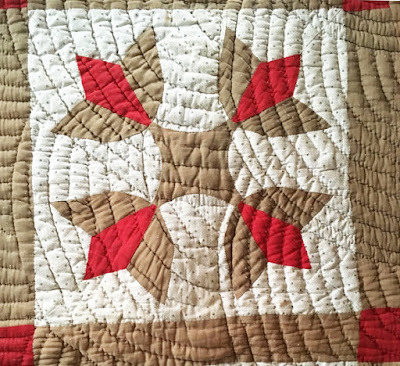 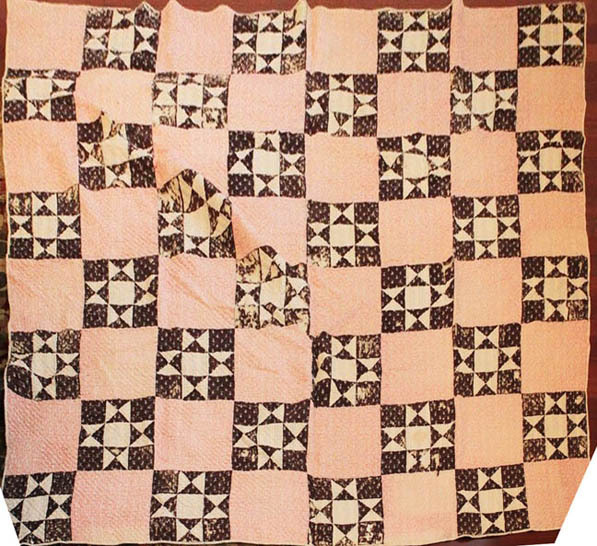 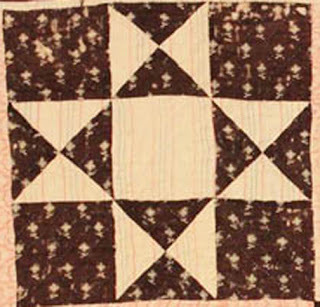 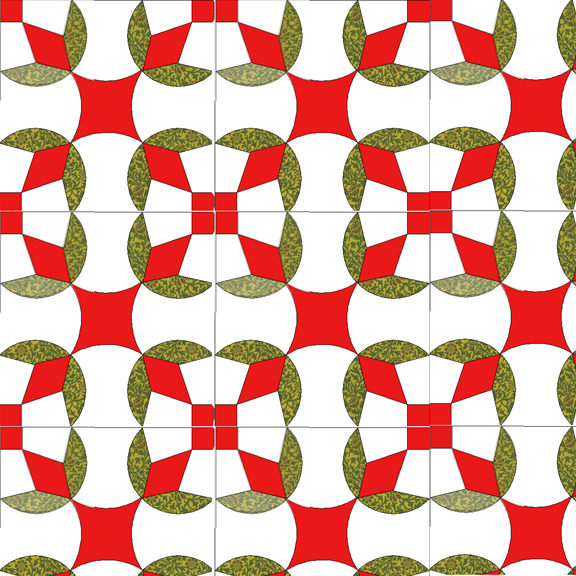 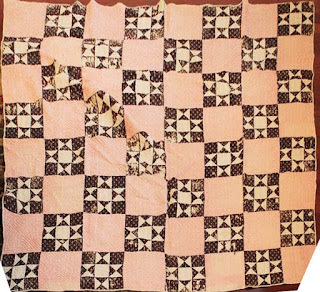 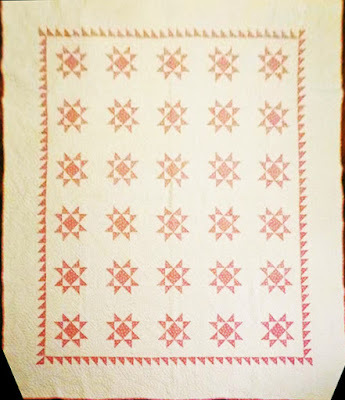 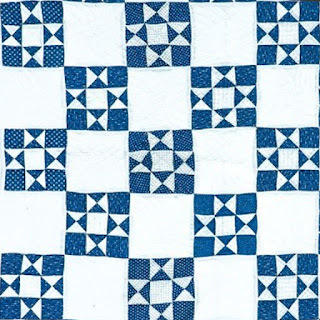 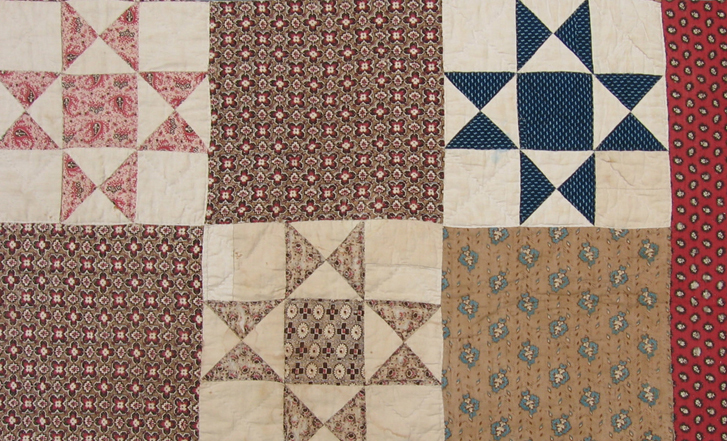 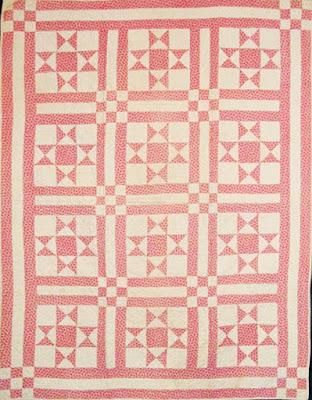 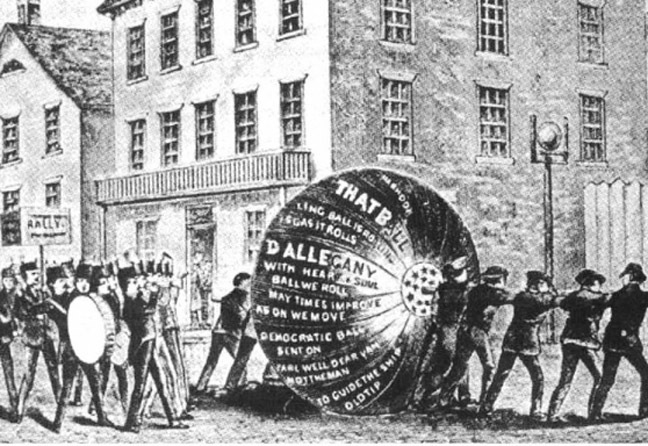 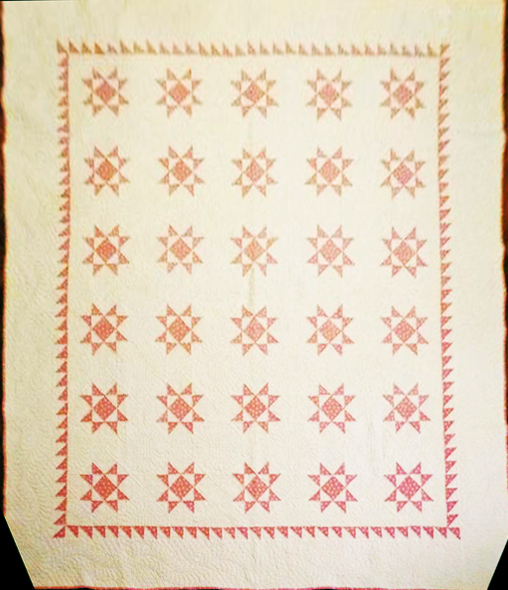 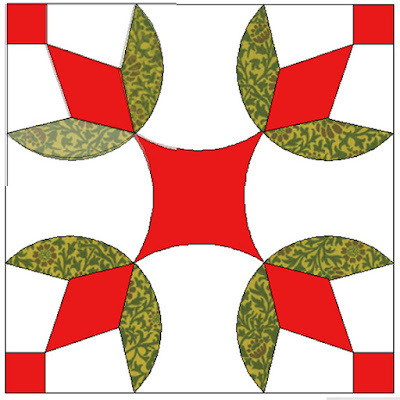 The imagery and the symbolism is far older than the mid-19th-century quilt design. 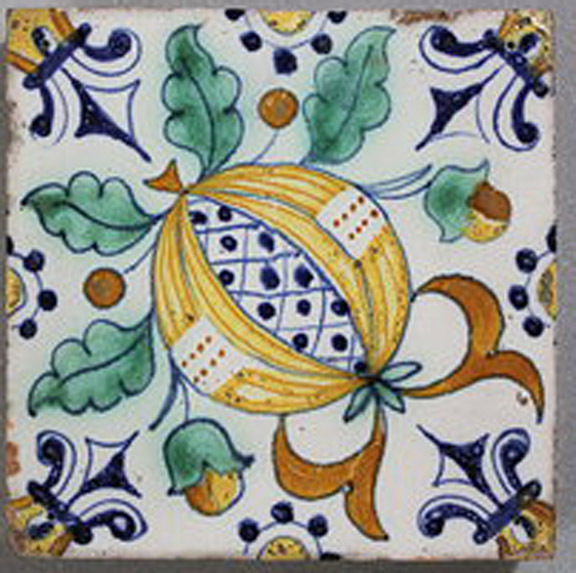 The tile shows the traditional view of a pomegranate, slit to show the seeds, a symbol of fertility for centuries. Hence, the name Love Apple. 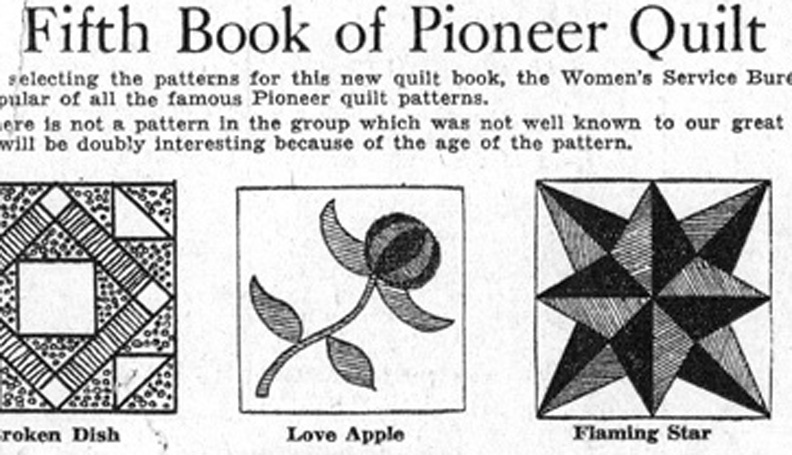 has a quilt made from that pattern. 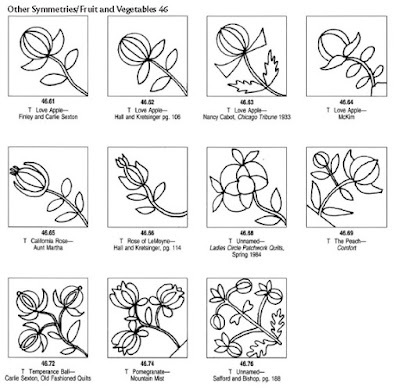 variations. 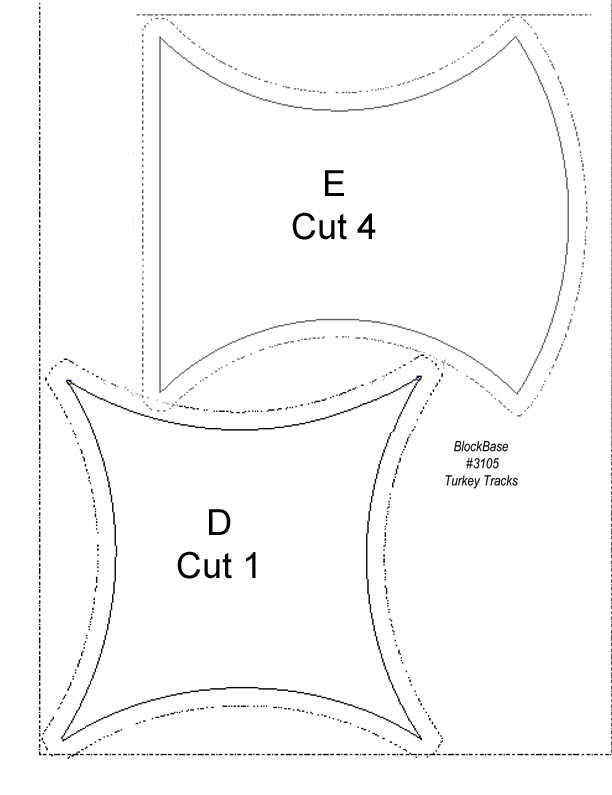 Stitchers fit in what they could and what they liked. 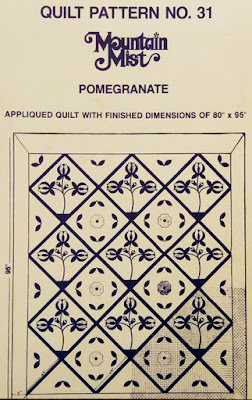 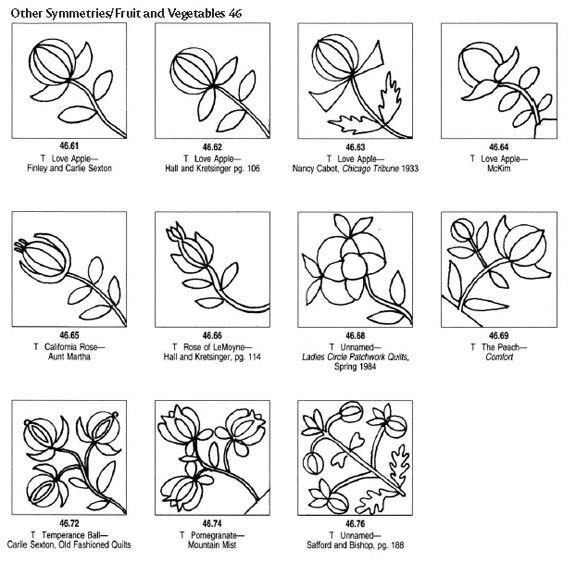 Until it became another pattern---fruit or flower? 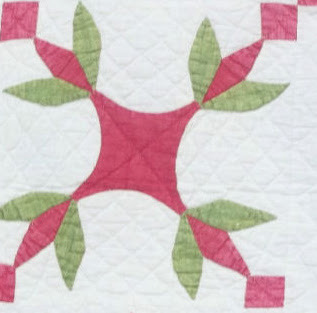 Triple or single? 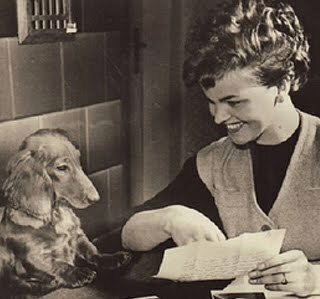 Both were fashionable. 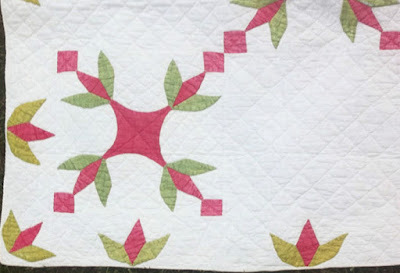 This may have been made from the Carlie Sexton design above.